Arletia Mayfield aka The Prophetic Scribe shares her prayer book and explains how this valuable spiritual tool can be used to help strengthen your faith and prayer life. Arletia Mayfield aka The Prophetic Scribe shares her prayer board and explains how this valuable spiritual tool can be used to help strengthen your faith and prayer life. Arletia Mayfield aka The Prophetic Scribe describes The house that God built…and that house is YOU! So, what’s in your house? What does the Bible say about Astrology, Witchcraft and Idolatry? What does the Bible say about Astrology, Witchcraft and Idolatry? A list of scriptures compiled by Arletia Mayfield aka The Prophetic Scribe. The Prophetic Scribe talks about how to avoid deception in these times. Sometimes, we get so caught up in ministry busyness that we forget about the most important thing – spending quality time with Jesus. Good health starts on the inside. You must love yourself the way God loves you. You are valuable to Him. The Prophetic Scribe talks about obtaining wholeness through spiritual food, natural foods and supplements, fasting and exercise. These are the two scriptures and the prophetic word that the Lord gave me to share with you for the 2015 PraiseMoves Atlanta 40-Day Fitness Challenge. For people who have been looking for a safe alternative to yoga, PraiseMoves is an answer to prayer. It is also a way to introduce people who do not attend church, know the Bible or are non-believers to experience the life-changing Word of God in a non-threatening atmosphere. 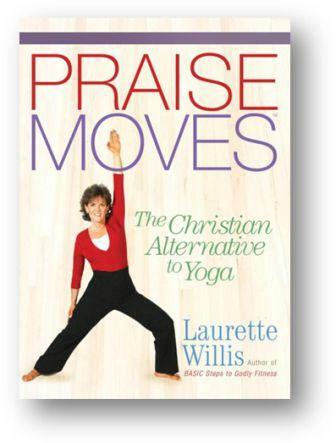 Welcome – From the PraiseMoves Missionary PraiseMoves is the Christian ALTERNATIVE to yoga.